The fact that there are many types of insurance out there can be justified by one other undeniable truth: Different people playing different roles in society take different risks. 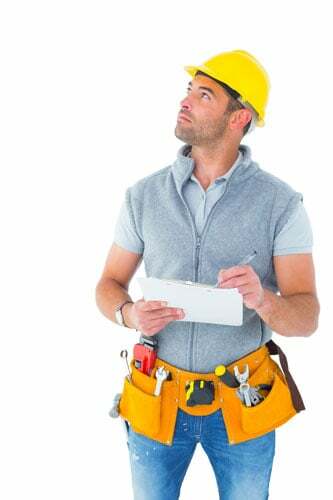 That’s why if you are a general contractor or an artisan contractor, it is a good idea to have builder’s risk insurance – also known as course of construction insurance – to cover the cost of any losses accrued during the construction process. Such a policy isn’t as niche as one would think; it may cover home and property owners as well. On this page, we’ll break down builder’s risk insurance bit by bit, and help you on the path of protecting yourself as you pursue your interests. Who Should Look into Builder’s Risk Insurance? Anyone who is interested in working on a long or short-term construction project should at the very least consider investing in builder’s risk insurance. Reasons to invest might vary, and rates also vary in accordance with the liabilities one may be concerned with – therefore, here are some common business types that obtain this insurance, as well as the instances in which they might need it. What Type of Projects Qualify for Builder’s Risk Insurance? Consider the following: Only certain types of projects are covered under builder’s risk insurance. Once you’ve established that you are an individual or a business who might need to purchase this type of insurance, it’s important to understand the nature of the project you’ll be taking on. Most construction projects qualify for builder’s risk insurance. Some of the more commonly covered projects include ground-up construction, remodeling, and feature installation. However, it would be very unsafe to assume that builder’s risk insurance covers personnel such as foremen should something happen to them on the construction site. Rates will vary depending on whether the project is residential or commercial, so be sure to ask your insurance company to discuss the differences with you prior to signing on to any policy. What is Covered Under Builder’s Risk Insurance? “Acts of God”, like tornadoes, flash floods, hurricanes, or any other unexpected weather that causes extreme damage. This also often includes warfare, nuclear accidents, or acts of terrorism. Soft costs, or money lost if there is an accident. Soft costs often include legal fees, equipment rentals, construction loan interest, and insurance premiums. At Farmer Brown Insurance, we are ready and willing to help all our clients with their multi-faceted insurance needs. If you think that you might need builder’s risk insurance for your current or future construction site, look no further than us. Simply fill out our simple, quick form to receive a free insurance quote. An agent will respond to most queries within 24 business hours. Want to talk to a real person straight away? You can also call us at 1-888-973-0016 to speak with a licensed insurance agent about all your builder’s risk insurance needs.